In light of the courageousness and complexity of Tree of Life, one must ask a serious question in reviewing it: can one actually recommend this film to a wider audience? As the early voice-over by Mrs. O’Brien (a revelatory Jessica Chastain) states, “There are two ways through life: the way of nature and the way of grace.” Perhaps, then, there are two ways through film: the way of Malick fans and the way of others. On the one hand, Tree of Life accomplishes all the film should be: it’s a wondrous symphony of sight and sound that delivers a powerful message. 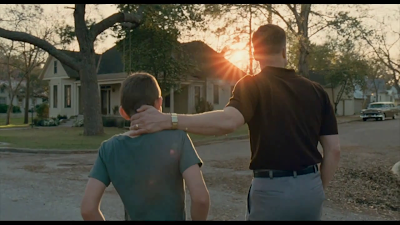 It will make little sense during the initial viewing, but after some discussion and further contemplation on all that Malick offers, one can grasp the indefinable beauty of the film. 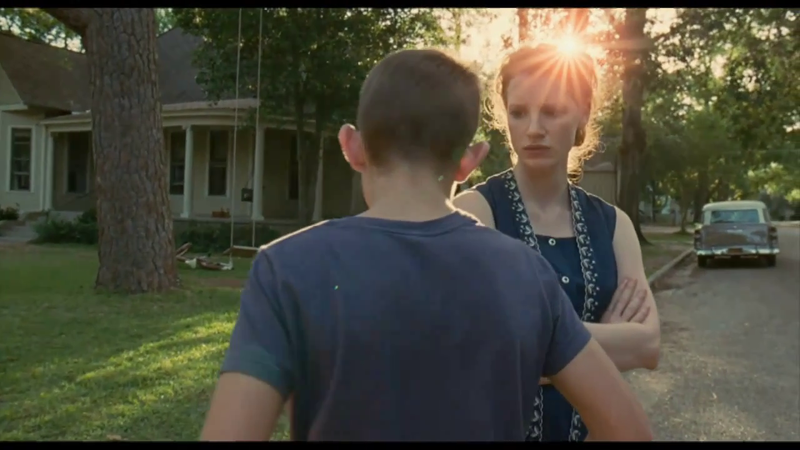 On the other hand, Tree of Life is Malick’s most narratively sparse film, so moviegoers less inclined to enjoy a 139-minute visual concerto might run screaming for the exits. Put simply, if you think The Blind Side shoulda won Best Picture, this one ain’t for you (not that there’s anything wrong with that). Everyone else – put your thinking caps on and be ready to experience something you have never seen before. 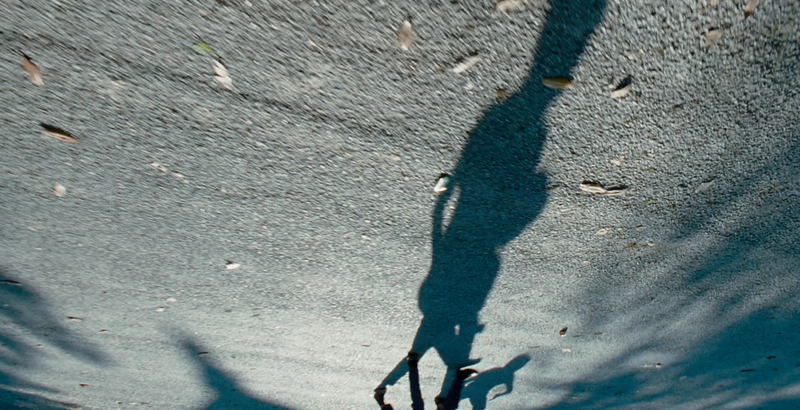 Tree of Life opens with echoes of Malick’s own The Thin Red Line. A mother, Mrs. O’Brien, receives a telegram from the military informing her that one of her sons has died. Wrought with grief, Mrs. O’Brien wanders into the woods and reflects on her early days as a mother. The film then flash-forwards to the present to see the eldest O’Brien son, Jack (Sean Penn), pondering his own existence in light of the fact that his brother’s life was cut short. Tree of Life flashbacks to Jack’s birth, presumably from the perspective of his mother, and Malick exploits the beginning of the O’Brien family to segue into a fifteen-minute intermezzo that meditates on the story of Creation itself. Jack’s birth gives way to supernovas, which evokes a Stan Brakhage-esque allusion to the moment of conception. What is conceived is still undeterminable at this moment, yet as Malick pans about the vast and diverse landscapes of the Earth, one can merely take in the beauty of this expansive seedling. The grandiose experimental sequence gloriously meanders in its picturesque revelry; however, Malick interrupts the thoughtful interlude with some unexpected dinosaurs. The Jurassic Park moment at first seems like an odd digression into self-indulgence, but when one ostensibly vicious velociraptor stumbles upon some meek prey and chooses the way of grace, Malick depicts a poignant step in evolution. As great as the performances are, the real star of Tree of Life is cinematographer Emmanuel Lubezki. 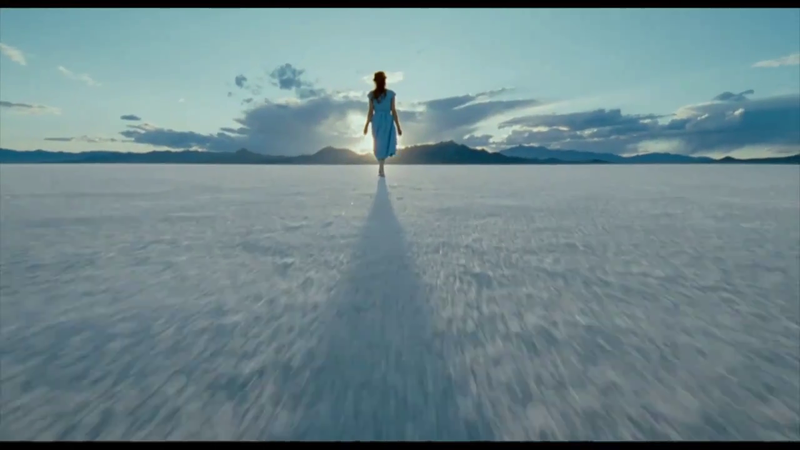 Making his second collaboration with Malick, Lubezki captures the film in a scope as grand as the director’s own vision. Tree of Life employs a broad spectrum of lenses and inventive angles: it’s as if Lubezki conveys each of the millions of perspectives from which one can view the world. One of the most striking shots in the film cuts from a fish-eye lens and reveals the preceding shot to have occurred literally from the point of view of Jack’s goldfish. Additionally, Lubezki sweepingly captures the flowing grass and expansive vistas with arresting use of natural light. Except for Malick’s own Days of Heaven, I doubt that a film has ever captured sunlight so beautifully. One could go on and on about the strengths of Tree of Life, such as the brilliantly verbose score by Alexandre Desplat or the ingenious layering of ambient noise in the soundtrack. Each of the film’s many facets are worth noting and appreciating, however, for you will find yourself madly shifting them together in order to make sense of it all. A film that simply must be “experienced” in order to be understood (and I use the word “understood” quite loosely), moviegoers will either leave the theatre feeling wonderfully enlightened or infuriatingly baffled. 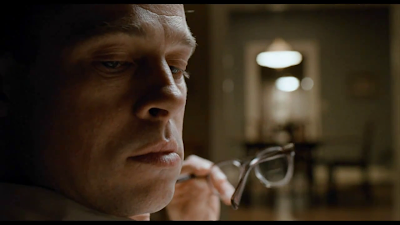 In either case, expect a long passionate reflection of the film: its need to ponder is the film’s greatest strength.